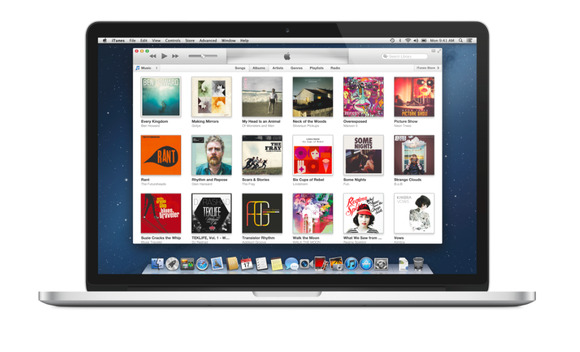 Over the course of its ten-year existence, the iTunes Store has evolved even as it has stood stock-still. Starting out as an online store that sold protected digital audio files, it expanded to include sales (and, in some cases, rentals) of movies, TV shows, apps, and books (both audio and electronic). Where it remains unbudged, though, is in its central mission: Sell, sell, and sell some more. Whether the purpose of its selling is to feed the hardware that Apple makes or to turn a profit on the media itself, the iTunes Store differs very little at its heart from the large “music, movies, books ’n’ things” emporiums of old. The store has been quite successful for Apple—to the point where the company now talks less about it as a way of getting people to purchase the next iPod or iOS device and more as a profit center. Just this week, for example, Apple announced that its total revenue from the store topped $4 billion in its fiscal second quarter, with $2.4 billion of that amount coming from media sales. As much success as Apple has enjoyed, is the model of the past ten years viable for the next ten? In my view, no. Two factors have altered the landscape: the changing attitudes of today’s media consumers, and the competition that Apple faces. The advent of illegal file-sharing services such as Napster chipped away at that notion of value. Suddenly music was freely available to those who knew how to get it, and justification for taking it came in the quart can, so why not? The Recording Industry Association of America presented its counterarguments in the form of intransigence toward the new technology, and lawsuits that generated outrageous damages awards to the RIAA levied against unlucky sharers; but it didn’t demonstrate that stealing music was wrong—only that it could be risky. Apple’s “Hey, we’ll make it easy and inexpensive” approach was gentler, but it may also have helped undermine the notion of an artist’s work as something more than a tune you could pick up for a buck. Illegal downloading is hardly the only factor that has altered attitudes about media’s worth. Free streaming services like Pandora and Slacker offer better (and more configurable) fare than you can get on the radio; their commercials also happen to be shorter and, in some instances, less frequent. Spotify and its ilk demonstrate that if you’re willing to cough up 10 bucks a month, you need never purchase another song in your life. And thanks to video subscription services like Netflix, we’re increasingly accustomed to turning on the tap to view TV shows and movies we like. As we enjoy more content that appears to be cost-free, our attitudes about its worth change. Why spend $15 on the latest Cool New Artist album when, for two-thirds of that price, you can listen to it and any of 15 million other tracks? Why kick in for the Ultra Mega Cable Package? Just wait a year, and the series you’re mildly interested in will show up on Netflix. And if you can switch on Pandora in your car, how likely are you to jack your iPhone into the car’s audio port to listen to $75 worth of the week’s top five iTunes albums? And as attitudes change, smart people seek ways to leverage those changes. Currently many of those people are involved with social media companies—Facebook and Twitter—and work with equally smart individuals within streaming-media services. Social media outlets generate the recommendations and the traffic, and media services deliver the content. Streaming services like Spotify—available as an iPad app—pose a challenge for Apple’s iTunes Store. Given these changes, the idea that in ten year’s time Apple will maintain a store rooted only in media sales and rentals seems quaint. Purchases won’t disappear, as we do like to own some media. But as an exclusive model for media delivery, it’s strictly 20th century. So where does the company go from here? Music subscriptions: Free music-streaming services such as Pandora have more than caught on. Many vendors include Pandora with their smart TVs, the service is available in mobile apps, and (as mentioned) it’s now being offered in some new cars. But despite abundant buzz about pay-for subscription music services, there aren’t yet enough committed customers to proclaim it The Way Things Are. Though Spotify and other music subscription services can make deals with social networking services and can market their services in other ways, they still face a significant hurdle: persuading people to click the Subscribe button, enter a credit card number, and pony up month after month. Apple faces the same kind of barrier, but it has one advantage as a streaming service seeking subscribers: The company already has your credit card information, so in signing up for a streaming plan, you’re likely to feel not that you’re making a big new commitment but rather that you’re adding an optional service, much as some Apple customers pungled up for iTunes Match. iTunes is a familiar entity, too. 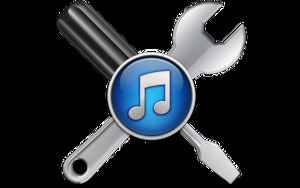 You know how iTunes’ interface works, are familiar with the depth of the iTunes catalog, appreciate the quality of its audio files, and understand how to play iTunes music with your computer and mobile devices. Enhancing your current iTunes service (which will continue to sell media) with a streaming plan wouldn’t change that experience. And once the Store starts streaming, Apple can implement a version of Ping that’s worth a damn. Ping failed for a number of reasons, the foremost being that it was designed to sell music rather than share it. When you shared a song, album, or playlist on Ping, you knew that you were really sharing just a preview. As much fun as recommending music in this way might be, consuming recommendations was mostly an empty experience; and so, after an initial rush by users to try the feature, too little sharing went on. But suppose instead that when you created your perfect Sunday Morning Mellow Out mix or a Mid-Week Carry On playlist, people you shared it with could drag it into iTunes’ sidebar or fling it onto their iPod and play it from beginning to end. And edit it and fling it back at you. And play the thing from within Facebook or Twitter or whatever social media service comes along in the next ten years. Now that’s social networking with a purpose. Production issues: Video may remain a tougher sell, and not necessarily because of Apple’s unwillingness to enter the video streaming business. After seeing how Apple dominated their cousins in the music business in the 2000s, the TV and movie studios have been reluctant iTunes partners. The studios and major TV networks will try to maintain as much control over their content as possible, and they may feel that their best streaming deals lie elsewhere. There’s no reason to think, however, that they’ll be shy about continuing to use the iTunes Store as a sales and rental outlet. But video streaming, like music streaming, is key to media consumption, and some interesting things are going on in this business. Both Netflix and Amazon are producing original programs for their streaming services. (Netflix’s recent profitable quarter is credited, in large part, to its House of Cards series.) There’s money to be made here. The iTunes Festival shows that Apple can help produce content as well as sell it. Apple has the means to deliver this kind of media, as it has demonstrated with its iTunes Festival concert series. Whether it adds “media producer” to its résumé in coming years depends on Apple’s ongoing view of what the Store is for. If Apple sees it as nothing more than a way to push hardware, the company can find easier ways to pursue that goal than by becoming the HBO of the streaming world—partnering with the real HBO, for example. On the other hand, if TV networks in particular continue to look to hobbled options like Hulu and site-based streaming, and offer Apple the sale-only leavings, you can’t blame the company for investigating alternatives that make the iTunes Store a desirable destination for original, high-quality programming. The iTunes Store has been a remarkable achievement. Per Apple’s goal, it has helped make iOS devices the most popular portable media players on the planet, reinvigorated the music business, and shown that digital media can be sold in an attractive and easy-to-use way. But the world is changing. It will be exciting to see how Apple accommodates those changes in the coming years.